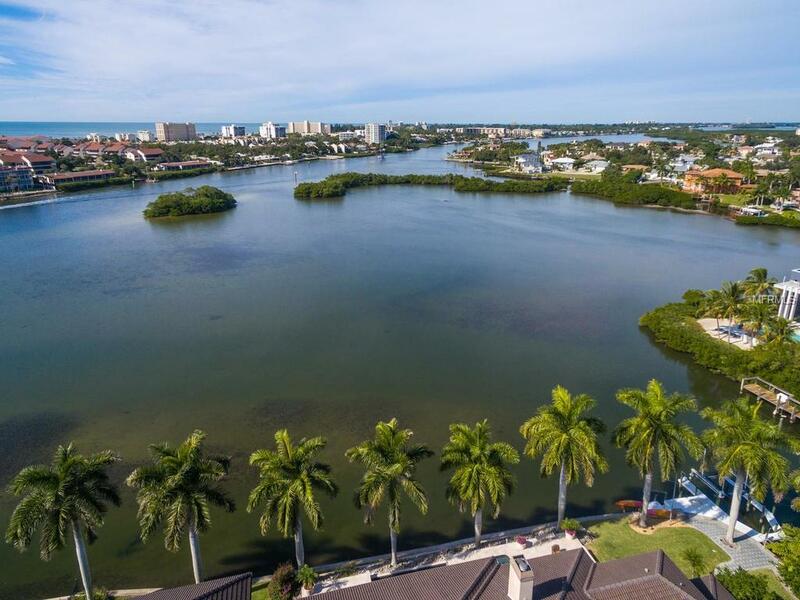 Experience the best of waterfront living in the heart of Sarasota just west of trail in Pine Shores Estates. 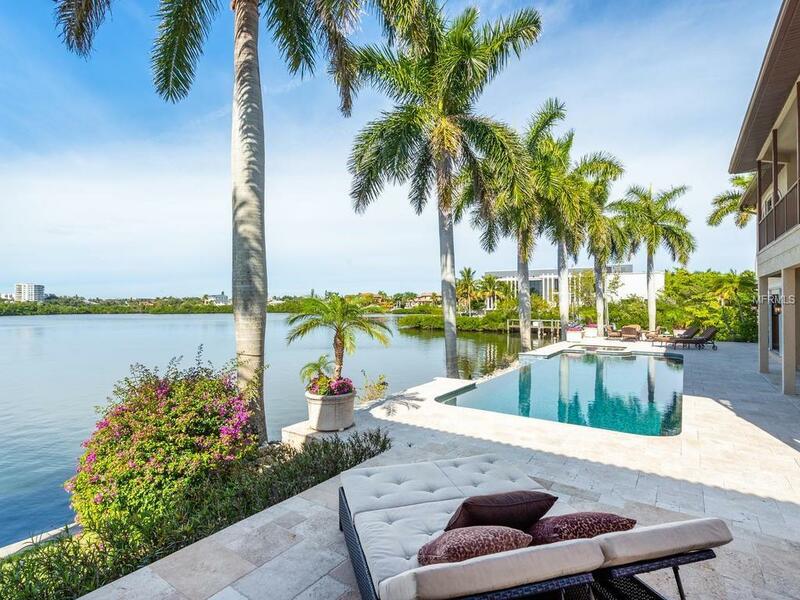 This walled and gated Bayfront home is sited at the end of a quiet tree-lined street and is in a near perfect location allowing for easy access by boat, bike, car or on foot to Siesta Keys world-renowned beach and all that the island has to offer. 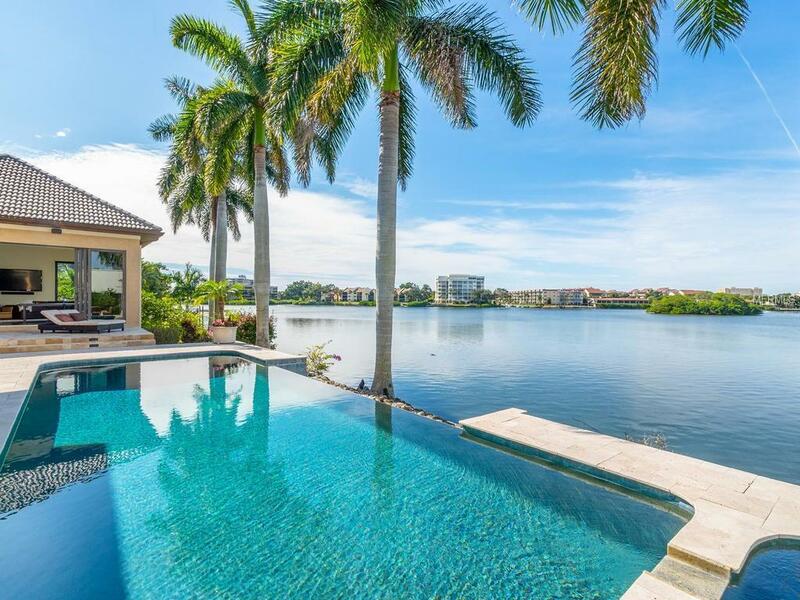 Designed to take advantage of the 300 feet of water frontage with its two-story ceilings, large banks of windows and doors and open floor plan, this home has been extensively renovated with impressive attention to detail at every turn. Chiseled edge travertine and hardwood floors, custom wood cabinetry, marble and quartz countertops, and an overall stunning marrying of details and finishes throughout make this home truly special. Four en-suite bedrooms, including two master suites, allow for the utmost privacy while providing space for family or guests. The newer 1,200 SF guest house is stunning with its great room plan including polished concrete floors, vaulted ceiling, built-in bunk beds and 3 sides of sliding doors that bring the outside in. The waterfront pool deck is lined with impressive royal palm trees and boasts rectangular infinity edge pool with spa, covered and uncovered seating areas and walkway to the dock. Boat, fish or simply take in the views from the well-appointed dock with power, water and 12,000 lb. boat lift. 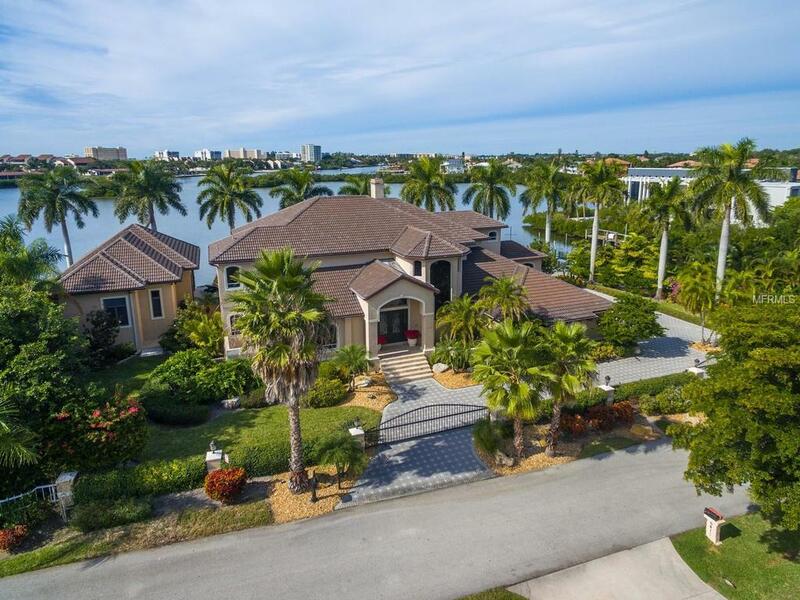 Seawall, four-car garage, abundant storage space, and paver driveway and walkways complete this extraordinary property.